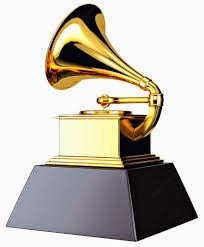 Mail4Rosey: Did You Watch the Grammy's? I was surprised to see so many (usually outlandish) artists looking so classy (maybe they always class it up for the Grammy's? I don't usually catch it, so I don't know). I'm more used to the shock value in entertainment, I suppose, so it was a really nice thing to see. The music was good! I particularly liked Rihanna, Paul McCartney, and Kayne's performance of "FourFiveSeconds." And Sam Smith was the big star of the night. I didn't realize there was a big controversy about his song sounding like a Tom Petty rip-off. Once I heard about it though, I was curious enough to go to YouTube to hear the similarities/differences. Evidently both parties admitted it was a coincidence, but 25% of the royalties from the song are still going to Petty and Jeff Lynne and the latter got their names credited for writing on Smith's album. I don't see/hear the infringement, but hubby says he does. The two songs are above if you want to take a listen. In any case, I love Sam Smith's song, I was glad it won so many awards for him. Did you watch? If so, any notable moments that stood out for you? I totally forgot about it, so I missed it. I did enjoy all the recaps, photos and opinions on Facebook this morning, though. I live under a rock apparently I didn't even know they were on. But I wouldn't normally watch anyway. I caught best rock, but that was about it. If some of the royalties are going to Petty and Lynne, then that's a red flag. Oh yeah, I can hear it in the refrain (chorus). His "stay with me, stay with me" is identical to Petty's "Won't back down, no I won't back down." Since that is the worst (and possibly only) case of infringement, it explains why Petty and Crew are getting 25% of the royalties. Chris Fries, when he was participating in Battle of the Bands pitched a battle once on his blog that was similar to this. If you're interested in reading it, I'll look for it and link it to you. If I remember correctly in that case, the artist intentionally bought a 7 note progression from the writer of another song. (Yes, paid for it before releasing the song.) The song was a huge hit. The writer then sued because the musician used more than the 7 notes. Never forget that while we love music... to many people it is big business. These days everyone is a rip of everyone it seems. Which is why I found Kanye's temper tantrum about Beck to be ridiculous. I never watch these things. I don't think I've ever watched them in my lifetime. Okay, I hardly watch anything on television. I didn't. I made cookies, and cleaned our house instead. That's an interesting story about Tom Petty. I always liked his work. I think in today's time many songs, and art pieces are sadly rip offs. Lady Gaga had a lot of songs and dance moves that looked and sounded like Madonna. Did you know that they are actually cousins? Crazy! Oh, that's no good! I missed them this year, too. I love watching the Grammys but I DVR-ed it so I can watch tonight! I have no patience for commercials any more! ACDC- loved them! But Annie Lennox- she blew the roof off the Grammy's! we did not watch the show, but i have been hearing about it all morning..
Hmm they admitted it was coincidence and yet royalties are going to them? Yeah, and I'm a rhyming dog pretending to be a cat. Never watched at my sea, never do. Probably just to avoid a lawsuit. I've heard about the Tom Petty controversy, too. I haven't taken the time to listen to both yet, but I think I will. I'm very curious. I have to be honest. I watched AC/DC do the opener. That was cool. I turned it off when Beck won for rock. When Beck beats out Tom Petty, I know I made the right decision by never listening to anything recorded after about 1985. I have stopped watching when it became political. I miss the old days when it was just music without opinions. I have never watched the Grammy's. It sounds like they had some good music. I didn't watch it. I'm too stuck on Sons of Anarchy, lol. But I just listened to the Sam Smith's song and I can see why they said it resembles Tom Petty's song, however I don't feel like it was intentional. It just uses those three chords dominantly and I guess that's enough. It must be hard to be completely original without accidentally doing something too similar. I totally did not watch the Grammy's this year! I'm all about the fashion and who wore what so.that was the first thing I checked out this morning! I totally missed it - I love watching for the music and entertainment - and the fun clothes~ hoping to see it On Demand - I've seen a bit on TV and looks fab! I actually completely forgot about the Grammy's!! I WILL be watching Fashion Police tonight though, lol! No, we never watch the Grammy's. It amazes us the awards that are given to people who we have either no idea who they are or that we feel don't even deserve to be in the conversation with other greats. There are usually some funny stories that arise from the event though. OMG when Kanye jumped on stage my face looked exactly like Jay-Z's! I could not believe he was pulling that nonsense again! I don't think Beck watched the MTV awards and he kinda looked like he didn't understand what Kanye was doing up there. I laughed! LOVE LOVE LOVE the Sam Smith Song. I missed it, but I heard Carrie Underwood got an award for Something In the Water - I was thrilled. Sadly, I was not able to watch the Grammys. Great recaps though, thanks! I didn't see the Grammys, but I heard that Sam Smith rocked them out! I haven't watched it so sad :( Because I'm very busy that day and no time to watch the Grammys. But thanks to you I became updated of what happened on Grammys. I actually didn't watch the grammys. First time ever too. We don't have cable anymore just Netflix. Seems I missed a great show! Anyone who makes fun of AC/DC being old and irrelevant is wasting their lives. Brian Johnson is still rocking hard, getting girls and having a ball while these others are busy screaming "Why are you in my space???" I actually didn't watch the Grammy's this year. I did however watch some of the performances on YouTube. I wanted to watch it but had a busy day and fell asleep. Thanks for sharing some awesome highlights! Meh, I never watch award shows. I'd rather sleep. I have three little boys though... I'd rather sleep than do most things. LOL! I didn't watch the Grammys but I did get to see some of the outfits from the Red Carpet. Some were lovely and others were outrageous. I watched some of it but I was so bored I turned it off. I like some older performers but there were too many this year. I thought the Grammys was a show about old grandmothers. I haven't had the time to watch the Grammy's but I have seen the best-dressed list article published in our local newspaper. Now I am curious to also listen to the song because of the controversy. Sadly, I didn't watch the Grammy's. I wish I would have thought! I love all the talent! HoneStay, I don't hear it either. I'm actually not a fan of Sam smith but I love TOM petty! I had heard about this controversy and being a big Tom Petty fan and a lover of "I won't Back Down", I heard the similarities immediately. It is in the chorus. I did not watch it but did see some clips today and I saw that Kanye West is once again in the middle of controversy too. I never get a chance to watch award shows but always get the winners info and highlights from the net and blogs. I wasn't able to watch the grammy's this year, but I did catch up with all the fashion (my favorite part). I really loved everything that I was able to see! I'm so bad. I wasn't able to watch it - everyone must've seen it but me. But I've been seeing and reading a lot about the Grammy's in my news feeds. I'm not a grammy watcher. I was when I was younger, MUCH younger and Michael Jackson was going to be there. ;-) Back then I had no interest in the Oscars and now that show is the one I can't wait to be seated for. I didn't watch it either. Whenever entertainment shows or award shows become kinda political, nah...I rather watch my favorite children cartoons and have a good laugh. Anyway, my cousin told me it was good. I didn't watch them. I don't really watch award shows....I'd much rather get into a good series on Netflix!! I watched the Grammys on and off Sunday night. I saw Kanye almost interrupt Beck when he won best album. I like to look at all the dresses. I do not watch the Grammy's but it sounds like you had a great time watching it your self and your readers! I like seeing all the gowns the actresses wear though! I used to be big about music and movie award shows. I dropped cable a few years ago and haven't looked back. I kept my nose in the news up until the last year or so because I am an entertainment journalist. Then I started the food blog and other doors opened. I felt bad that I didn't even know the Grammy's were on until the next morning. Ooops. I hadn't realized about the songs, either. I didn't watch the Grammy's. I tend to be more of a CMA girl. I did not watch...but heard Kanye pulled a Kanye. Makes the desire to watch awards shows way less. I didn't watch the grammys. I had no idea of the songs controversy either. I did not watch the Grammys, but did hear of some of the wins. I totally agree with the similarities of these songs! I watched part of the Grammys but didn't pay close attention. I do like seeing all the fancy dresses. I did not watch it, but saw all the recaps on Facebook about Kanye & his second Grammy outburst. I am not a fan of Sam Smith but I'm really not a fan of Tom Petty. I sort of hear the similarities. Our radio station played the songs simultaneously and you could hear the similarity. I think it's pretty classy of Sam Smith to pay the royalties though, without dealing with a huge court battle. My highlight of the Grammy's is when Prince walked out with a cane in an orange jumpsuit! Priceless! I totally missed them, I heard they were great this year! I did watch - and was bored to tears. And it also just reinforced how much I dislike Kanye West. I didn't watch it but I did hear about the Kanye thing smh Sam Smith though is so amazing! I did not have a chance to watch the Grammys this year. I have planned on it, but my kids did not cooperate that night! Usually I watch. I did not watch the Grammies, but I heard that Annie Lennox brought down the house, so I had to find a clip of her performance. She belted out 'Got a Spell on You' so effortlessly – I loved it! I didn't watch the Grammies also. I have seen some performances later on, seems like they were really good! I don't usually watch the grammies. I don't know why. I just. Don't. I don't really watch them but I love to hear news about them online. I didn't get a chance to watch the Grammy's. I like to purchase People magazine after awards shows to see who wore what. I didn't watcht the Grammys, but I did see all about them the next day all over TV. This is such a cool recap with video! I didn't watch the Grammys. I think everyone told me all the good parts on social media.